OK, OK, OK! So this picture was taken a few years ago - Where's your imagination? Just add a few wrinkles, a little gray hair and a few extra pounds and you have it. Robert Scott (Bob) Ringwald was born November 26, 1940 in a small community 14 miles northeast of Sacramento, California which later became Citrus Heights. Rumors of his virgin birth, being abandoned by wolves and being raised by parents, living in a log cabin, chopping down a cherry tree, throwing a half dollar across the Potomac River and walking 10 miles to and from school (uphill both ways) in the snow are grossly exaggerated. Bob was interested in music from a very early age and began playing piano at 8 and guitar at 10. This was tough because he had to go to bed at 7. His first "Paying Gig" was at the age of 12 playing with the Sutter Junior High School Dance Band of Sacramento, for a Mormon Church New Year's Eve youth dance in Roseville, CA. He, along with guitarist Jerry Jaccobs, formed his own band, "The Rhythmaires," at the age of 13 and has continued to lead various bands ever since. At the age of 17 he grew a beard in order to look older to fool the ABC (California State Alcoholic Beverage Control) officers into letting him work in nightclubs. At that time in California, you had to be 21 to work where alcohol was being served. 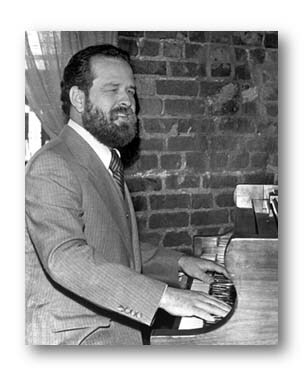 Bob quickly earned a reputation as a leading jazz pianist. He worked at many night clubs in the Sacramento area including 15 1/2 years at the famous Capone's Chicago Tea Room and Pizza Joint, 7 1/2 years at Sam's Town, Cameron Park, California, and was a semi-regular intermission pianist for Turk Murphy's famous San Francisco night spot, Earthquake McGoon's, from 1970 to 1973.
were a Skiffle/Honky-Tonk/Jazz/Comedy group. They reorganized in 1998 and became very popular, entertaining at conventions, private parties and jazz festivals. 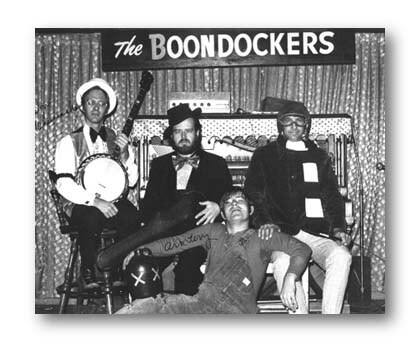 In 1968 he appeared in the Monterey Dixieland Festival with Sugar Willie And The Cubes. Also on the show was The original Dukes of Dixieland, Mickie Finn, Bob Crosby and the Bobcats, the Firehouse 5 Plus 2, Turk Murphy's San Francisco Jazz Band, Clancy Hayes and Louis Armstrong and the All Stars. In 1961 he took up banjo and quickly became proficient on that instrument. In 1963 he appeared with the Sacramento Banjo Band on Gary Moore's network TV show, "I've Got a Secret." in 1974. He served on the Music Committee for the Jubilee until his relocation to Los Angeles in the fall of 1978. In the mid '60s he organized the Bob Ringwald Jazz Band, which was renamed "The Fulton Street Jazz Band" on Sunday, March 14, 1971. He led the group for 15 years, recorded four albums and, along with the other members of the band, consumed 1,823 kegs of beer, mostly orally. 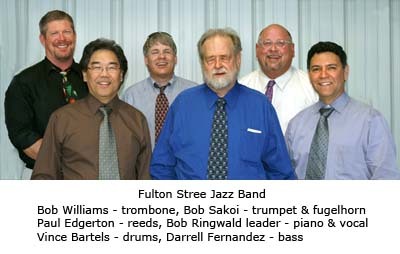 Bob left the Fulton Street Jazz Band in 1978 to move to Los Angeles. After he left the band, the FSJB became even more popular - Could this be a mere coincidence??? During his 17-year sojourn in Los Angeles, he founded the Great Pacific Jazz Band, which boasted such great musicians as Zeke Zarchy on trumpet and Bob Havens on trombone. In 1988, the band recorded one of the first Traditional, Classic Jazz CDs to be released, "The Great Pacific Jazz Band", "The Music Of Louis Armstrong." This recording has recently been re-released on the Mountain Gold Recordings label. Bob served as band committee chairman for the Los Angeles Classic Jazz Festival (renamed the Los Angeles Sweet and Hot Music Festival in 1988) and for 16 1/2 years, hosted a weekly jazz radio show titled "Bob Ringwald's Bourbon Street Parade" on KCSN 88.5FM Los Angeles. Along with trombonist Jim Beebe, he co-led the Bob Scobey Frisco Band (Reunion Band) at the Los Angeles Classic Jazz Festival, September 2-5, 1988 and at the Big Horn Jazz Festival, Chicago February 17-19, 1989. In 1995, Bob, along with his wife Adele, moved back to the Sacramento area where he once again is active and in much demand in the Northern California jazz scene. 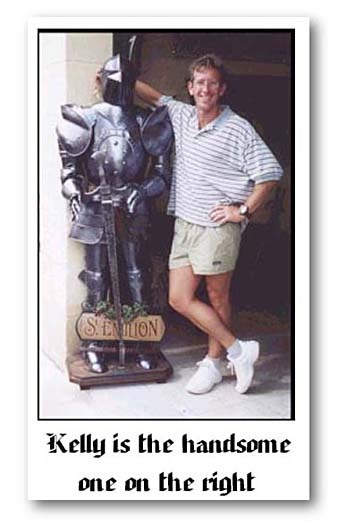 In 1998, Bob appeared in the movie "Twice Upon a Time" with his daughter Molly. In the film, Bob was cast as a saloon piano player -- Type casting, eh? On May 30, 2011 Bob was given the great honor of being named the Emperor of Jazz by the Sacramento Traditional Jazz Society for the 39th annual Sacramento Jazz Festival and Jubilee, (renamed the Sacramento Music Festival), May 25-28, 2012. 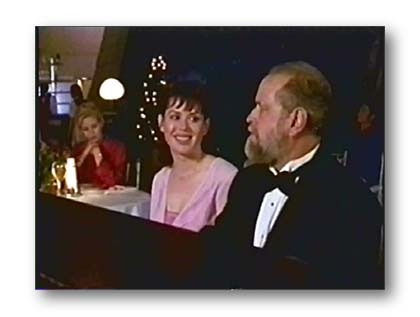 Throughout Ringwald's musical career, he has always subscribed to the motto: "If my music does not come up to your standards, lower your standards." Bob is a licensed Amateur (ham) Radio operator with the call sign K6YBV, the proud father of three children, Beth, Kelly, the actress Molly Ringwald, and 4 grandchildren, Chance, Mathilda, and twins Adele and Roman. Bob has discovered that professional baseball is in his DNA. 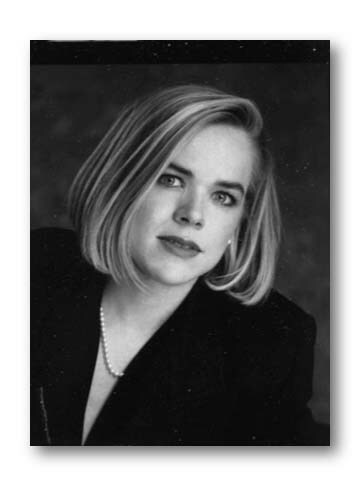 Ringwald genealogy can be found here. Currently he is working on a new recording project which will be titled, "Bob Ringwald Plays The Music Of Tab Hunter". Listen to Bob's recording of Scott Joplin's Maple Leaf Rag, while you read about the recording. You may purchase this recording.